The hotel building forms a "V" shape; its five floors offer accommodation in 200 double rooms with all amenities and a congress hall with a capacity of up to 600 people. 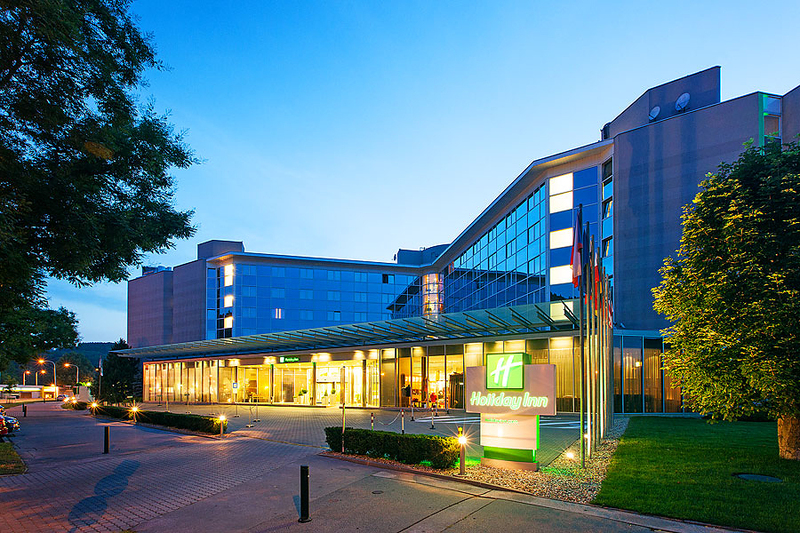 The Holiday Inn Brno Hotel is therefore a perfect choice for all types of events from small seminars to large international conferences. 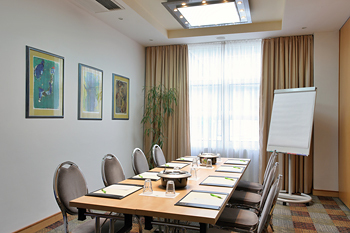 The hotel provides the events with a wide scale of services ranging from accommodation and catering, organization of interpretation services, to meeting any specific needs the event organizers may have. 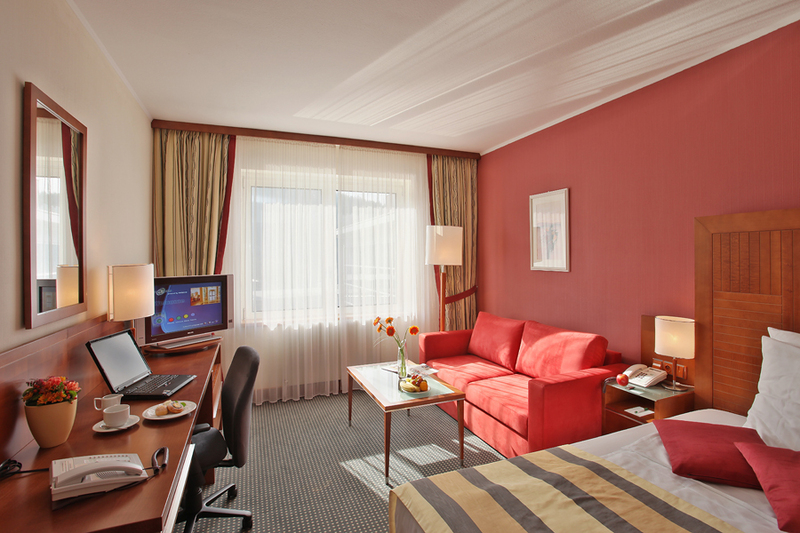 Comfortable rooms with everything important for your convenient stay. There is more than a warm bed, clean room, and friendly smile awaiting you in Holiday Inn Brno. There is a comfortable hotel where you can sit, relax, and be yourself. Whether you are travelling for business or pleasure, you should not give up all the comforts of your home or your everyday routine that would keep you sane. Let the accessible luxury pamper you. The top floor with the best view, large beds, and a quiet zone far away from the regular hustle. Take only a few steps while wearing our soft robe, and you will be at the top, in our Relax Zone located on the roof. 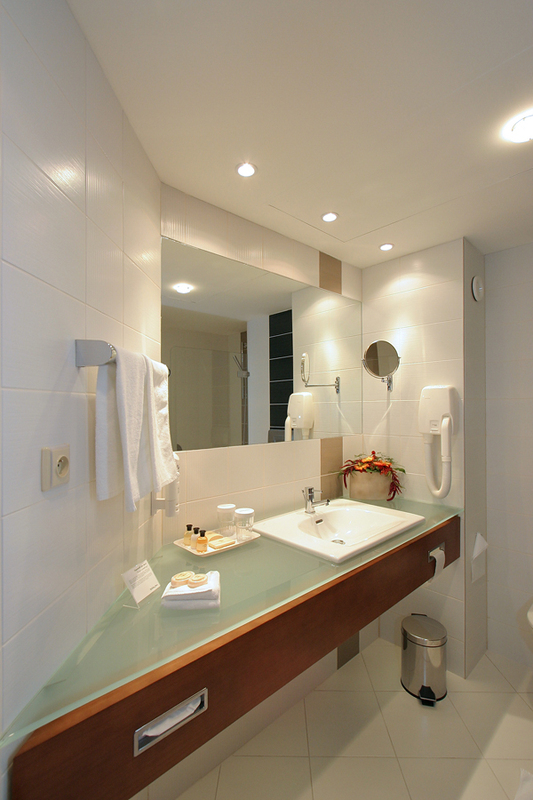 Carefully selected materials combined with attractive design, high-end toiletries, and fine minibar refreshments provided free of charge will help you feel right at home. Suites also equipped with : second LCD TV, second Internet line, second desk, bigger bathroom, bigger wardrobe and coffee table with arm chairs or conference table for 6. 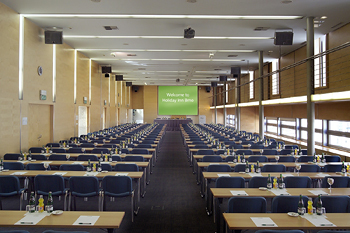 Conference premises can be utilized for events in the scope from small seminars to large international congresses, for which we provide a wide range of services, from accommodation and catering over congress technical equipment and arranging of interpreting services to fulfillment of specific requirements of event organizers. A hall of 350 square meters, may be divided into 2 rooms. Gallery for 50 people. Lounge for 40 people with a patio. Welcome desk, foyer. All rooms are air-conditioned and accessible to daylight. 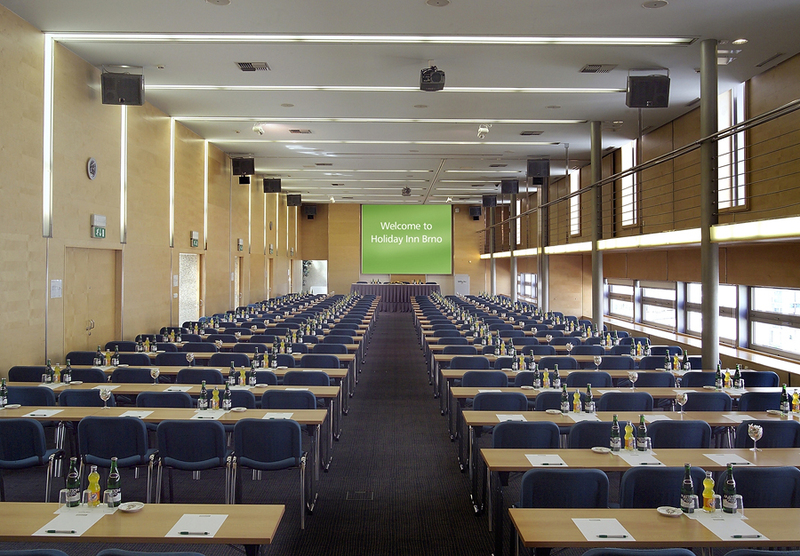 Congress Hall equipment: Videoconference, copy-board, Simultaneous interpretation into four languages, Mobile conference sound system. 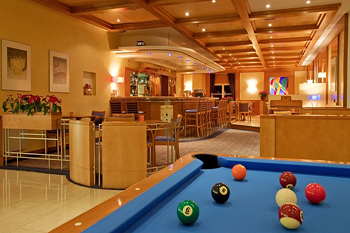 3 air-conditioned lounges, each with a capacity of 100 persons, on the ground floor of the hotel. 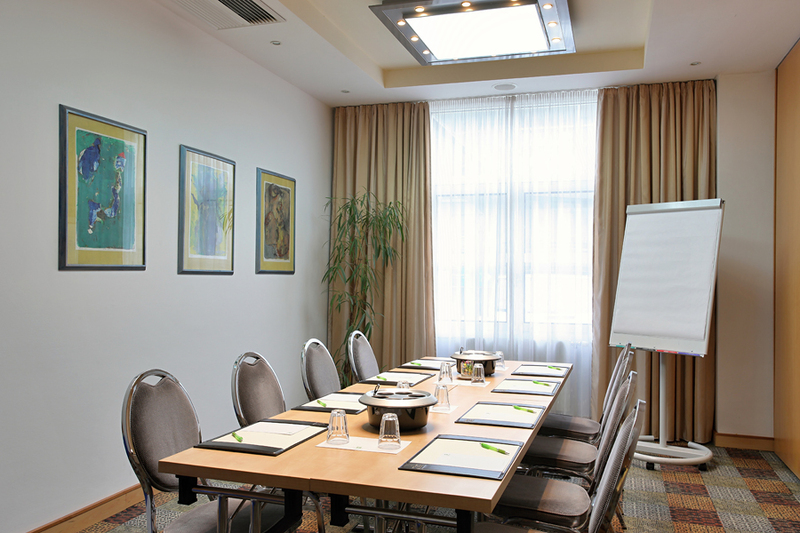 5 meeting rooms, each for 10 persons, the lounges are air-conditioned and provide access to daylight. Equipment of the Lounges: audiovisual and sound equipment, rental of a PC or fax available, equipment for interpreters (upon ordering). AWhether you are attending a conference, participating in a business meeting, or just travelling through, you will always experience great gastronomy and professional services. An experienced team of cooks makes meals from high-quality raw materials provided by local suppliers. 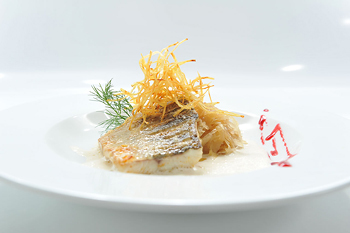 It artfully combines the Moravian cuisine tradition with modern trends. Naturally, great meals are complemented with professional craftsmanship of trained waiters and careful selection of high-quality drinks. Our professional waiters will bring you exceptional culinary experiences in a quiet and pleasant environment. 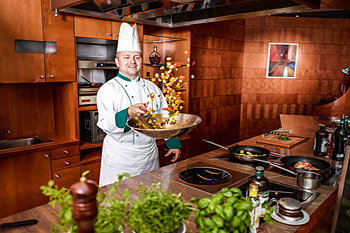 You can uncover some mysteries of the fine art of cooking while our chefs prepare your meals right before your eyes. Non-traditional processing of traditional raw materials is based on the traditions of Czech and Moravian cuisines. That's why this restaurant also participates in projects supporting real gastronomy, such as CZECH SPECIALS or Heritage Paths. We are honoured to be in such respectable company. 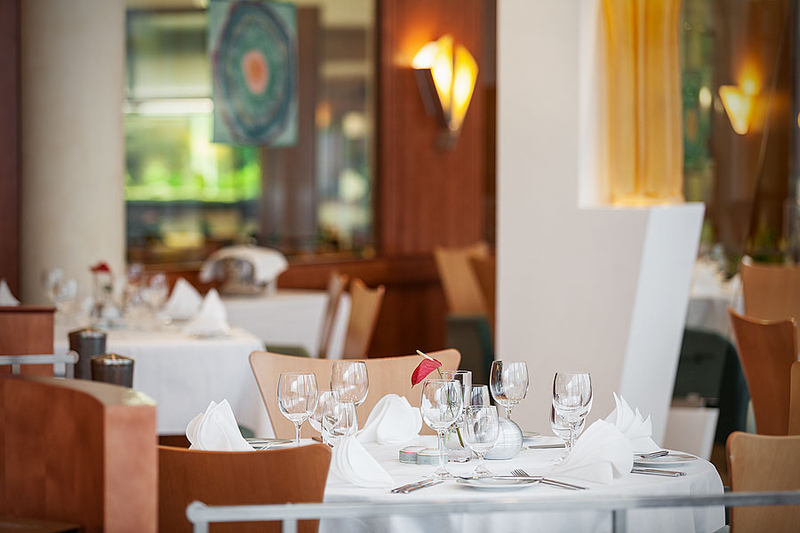 Every two weeks, our Chef with his team alters the thematic seasonal Business Menu for you. And twice a year, he prepares a completely new menu. 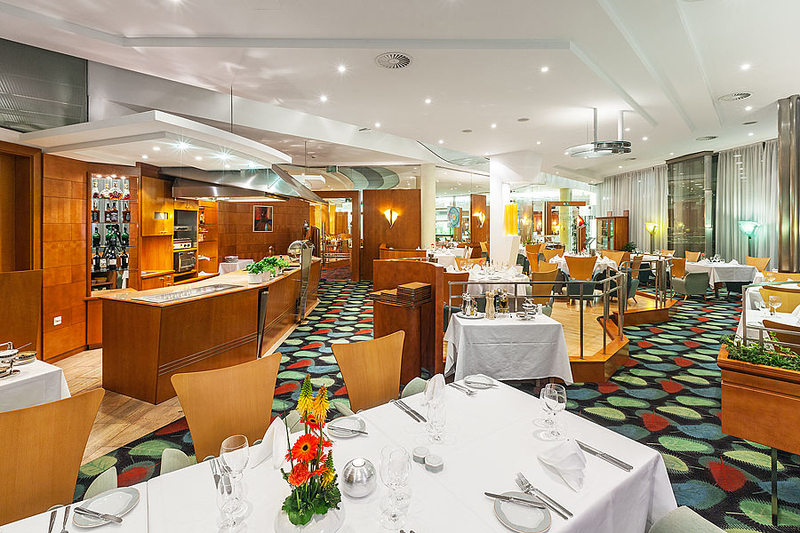 This restaurant offers dishes in the form of abundant open buffet tables. The breakfast buffet with a wide choice of cold and hot dishes represents the perfect start to your day. A new feature is preparation of egg dishes on the spot from ingredients selected by the guest. Excellent coffee, a wide selection of teas and fruit juice as well as warm, crispy croissants are a matter of course. Guests may of course have their breakfast served in the room. All it takes is ticking what you would like to have on an easy form and your breakfast will be delivered at the time of your choice. 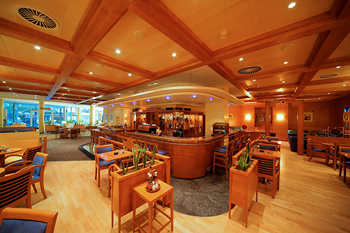 The Lobby Bar also provides a pleasant setting for small business meetings over coffee or for relaxation after a busy day over a mixed drink or any other beverage. 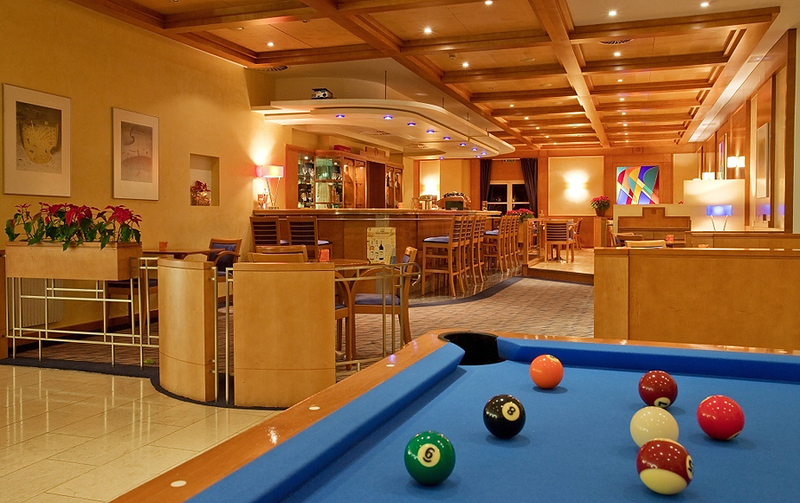 Our guests can choose to play pool or darts, and view all important sports or cultural events on a 1.5×2 meter screen. A range of quick refreshments and main dishes is available until the midnight. We offer catering services for up to 1000 people at any venue of your choice - at the trade fair stand, at the Masaryk Circuit, in castles or tents, with Spanish, Asian, sporting or historic costumes. The 6th floor houses the RELAX ZONE, a completely new relaxation facility. The Relax Zone is not open to the public, only to the Hotel guests, which ensures a high degree of privacy, comfort, and exclusiveness. 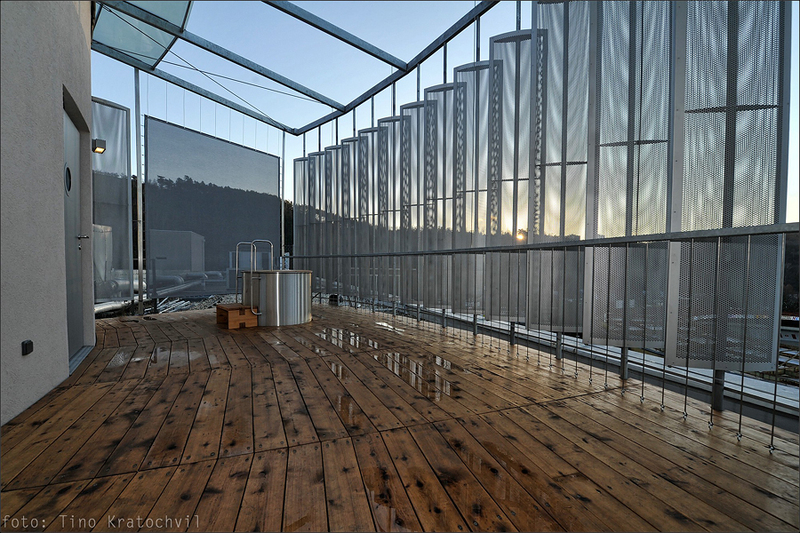 Panoramic view of Brno, a view of the Fairgrounds premises from a different angle, modern design, interesting solution of the spatial concept, interior greenery, separation from other Hotel facilities, high-quality technical equipment, outdoor terrace, professional care. All this enhances the feeling of peace and contentment and helps every visitor to recharge. Soar to the top and relax above the surrounding treetops. Leave everyday hustle and problems somewhere down below. The Pininfarina Gold model line of the Panatta Sport brand machines: a treadmill, exercise bike, spinning bike, elliptical machine, multifunctional weight training unit. Classical Finnish sauna with outdoor cooling. Indoor and outdoor rest area are included. Business hours: 5 p.m. - 10 p.m. Admission fee is included in the accommodation price. Extensive offer of professional massages. Business hours: 5 p.m. - 10 p.m. The terrace can be used for sunbathing as well as a rest place after sauna - convenient cooling pool is available. Guests may enjoy a unique view of sunset or surrounding scenery. Nous offrons de reduction 15% pour les reservations payées en avance - prix Advance Purchase. 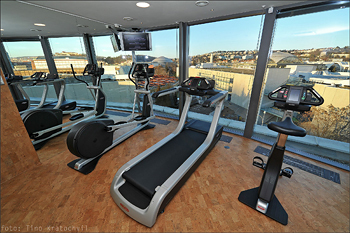 Prices include internet connection, entry to fitness centre, sauna and all taxes, but do not include breakfast. Extra bed for children up to 18 years free (in the room with parents).